Up until 4:00 am last night (morning?) so any spelling error might be due to lack of sleep. Went to check out the Upper Beaver Meadows trail head area for photo possibilities in the afternoon and also to call Ann. It seems to be a place where a cell phone signal can be had. I see a group of people in the meadow and realize it’s a wedding. 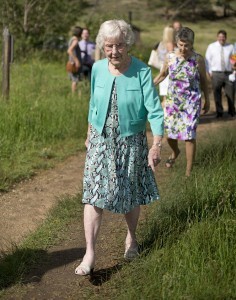 Telling Ann there are decisive moments going on, I hang up and walk over to the party to introduce myself. Jenni Dyer and Aaron Mobrier (photo above), a couple from Des Moines, Iowa, have just gotten married at the trail head. Joining them from Iowa are their families, including 2 grandmothers and a grandfather. Champagne is being poured and the photographer is setting up for photos. Jenni’s mother and grandmother tell me the couple are very outdoor oriented so they decided to have their wedding in a national park. They ask where I’m from and I say New York City. I tell them we have a park, Central Park, but no mountains like the Rockies. I walk to the meadow where the newlyweds are being posed with the unbelievable backdrop of Long’s Peak and the rest of the range. The photographer is quite good, being able to heard the various parties dressed in their Sunday best into the thigh-high grass. The couple have come prepared, both wear Converse All-Stars canvas shoes. Turns out Jenni is an ornithologist and Aaron fishes a lot and both have been to Rocky Mountain NP before their wedding date. As they walk, the groom does his best to gather the long train of the brides’ dress to keep it from dragging on the trail. 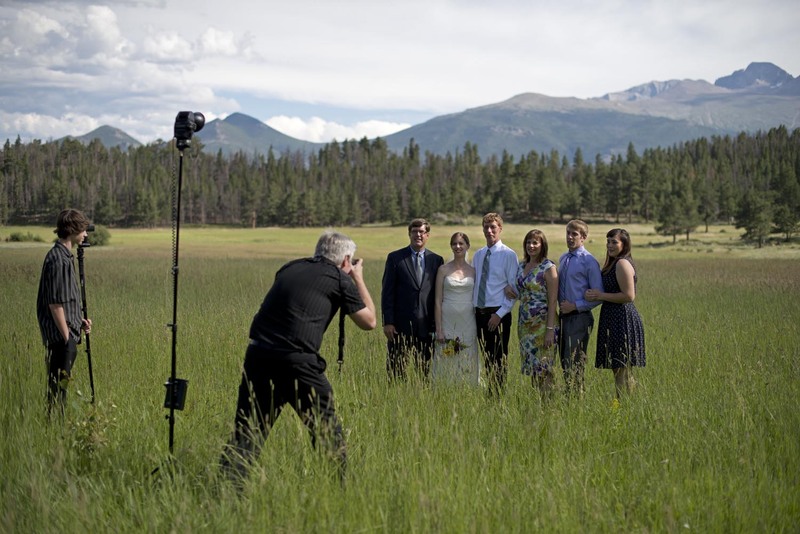 Everyone hugs the couple before heading off to more photos at nearby Sprague Lake. The two grandmothers join the photo session. 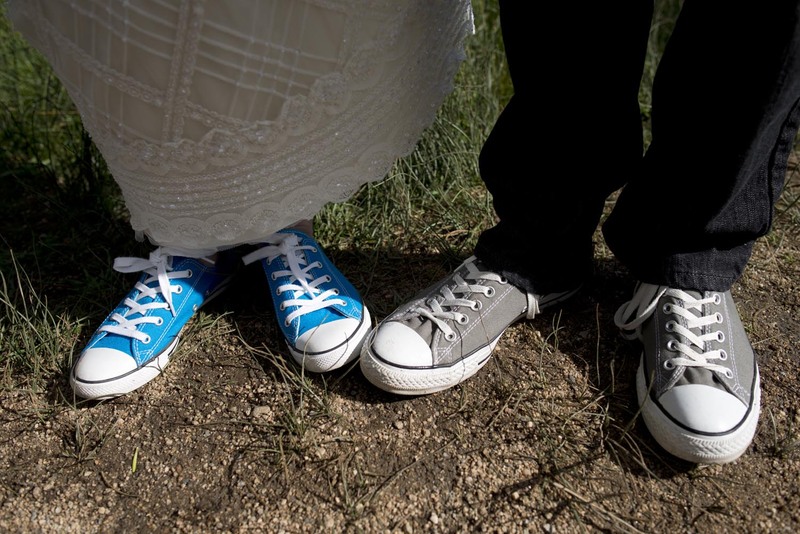 Converse shoes on bride (left) and groom (right). The brides’ parents and siblings join the couple. The adventures continue as I head later in the evening to Estes Park, the town next to Rocky Mountain. (Jean, the artist coordinator, said I might be confused since everything is called Park here. When easterners were discovering the area, they called a meadow or clearing in the mountain areas a park. I read somewhere that in other parts of the west, ‘hole’ is the same thing, as in Jackson Hole.) 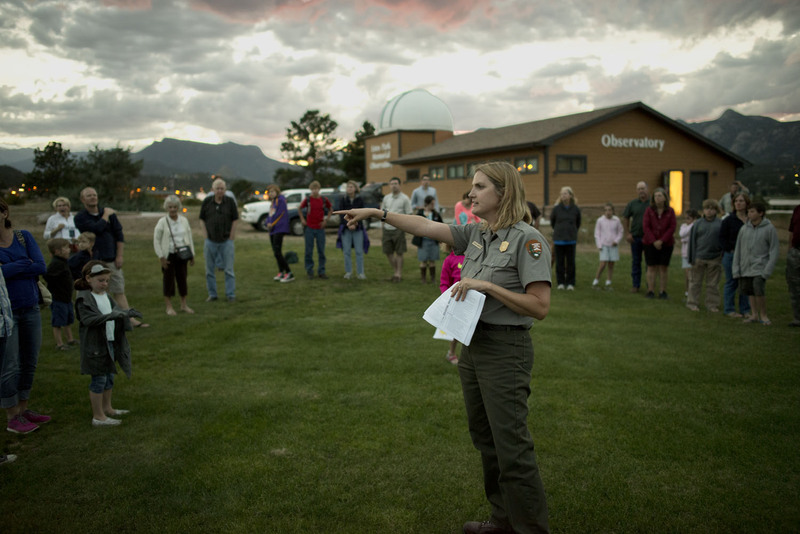 Cynthia Langguth, the Rocky Mountain ranger in charge of the night sky programs was giving an evening program called “Stories Behind the Moon & Stars” at the Estes Park Memorial Observatory. I wanted to meet Cynthia and I wanted to see the observatory, something unusual in a small town. The observatory sits next to Estes Park High School and has a dome with a 12 inch Meade telescope and a large conference room for activities. One whole wall is painted with the constellations, there are big photos of celestial objects, several telescopes occupy a corner by the constellations, a small display has items for sale, 2 tables are filled with astronomy information including free magazines and brochures. It’s an amazing facility that’s used by school groups and the local astronomy club. Phil and Dave, two National Park volunteers who help with the night sky programs, were setting up their telescopes next to the observatory. Phil said it was great to have the observatory in Estes Park, noting that sadly it was a ‘memorial’ observatory. It’s all the work of Mike Connolly, who I met at the Wednesday talk I gave at Beaver Meadows Visitor Center. Apparently his son and daughter-in-law were killed in a motorcycle accident in 2005 and Mike worked to raise funds and get volunteers to help construct the observatory in memory of his children. He’s done an amazing job to involve the community in this project. Ranger Cynthia did a fantastic program which was geared towards families, which there were many present. She talked about stars, planets, the solar system, galaxies and preserving the night sky through controlling artificial lighting. Handing out strips of paper about 2 ½ feet long, she had everyone make a representation of the solar system, giving you the idea of the scale of distances involved, that you could then fold up and put in your pocket. We all went outside onto the field in a big circle as Cynthia demonstrated why we see certain constellations at certain times of the year. We looked at Venus and Saturn through the telescopes. Best of all, I got an activity guide so I can get my Junior Ranger Night Explorer patch. However, you are supposed to do the number of activities that you are years old. Which means I need to complete 54 (!) activities in the book. I have a week to do them before I see Cynthia next Friday at the star gazing session here at Rocky.